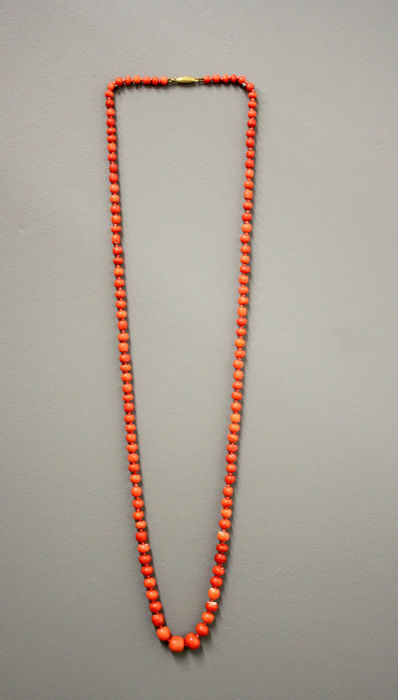 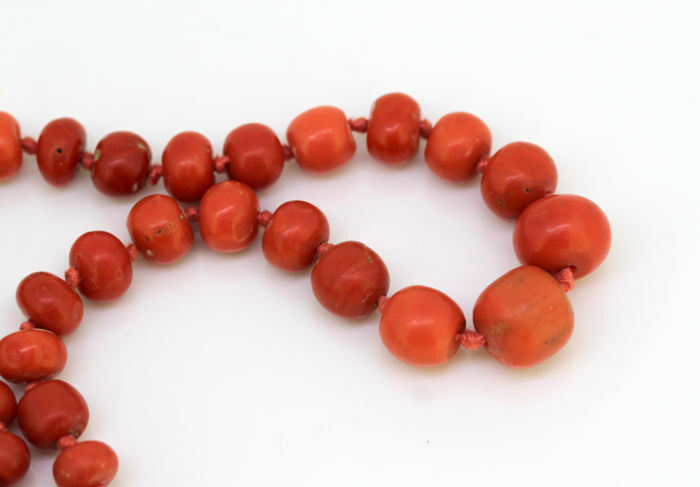 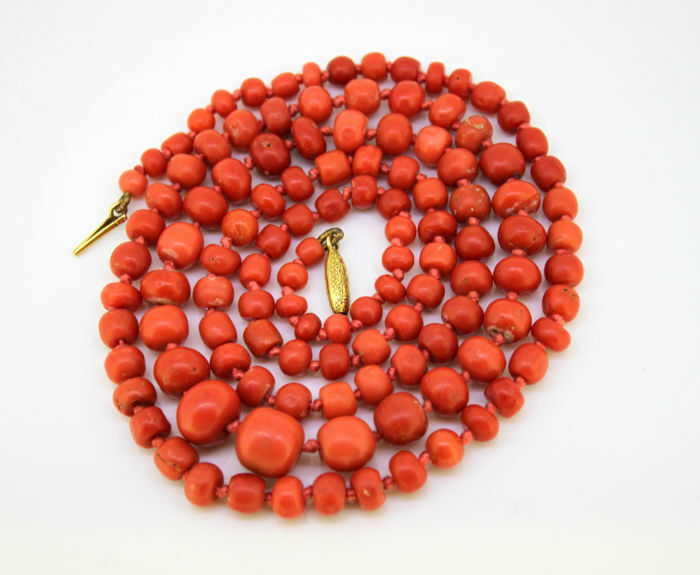 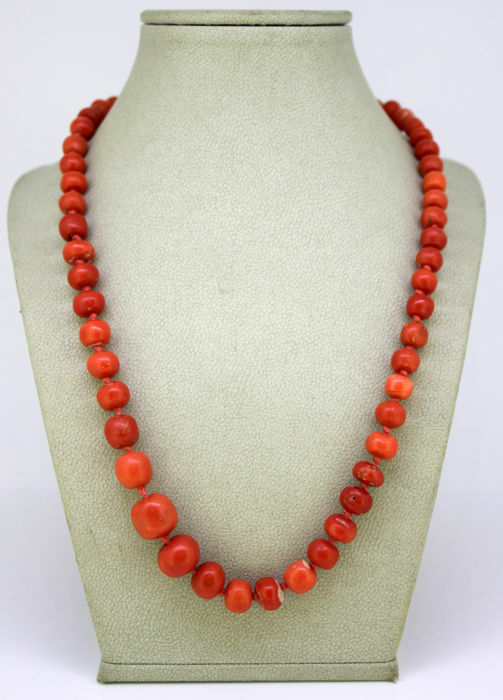 Antique French necklace with natural coral beads and 18k gold clasp. 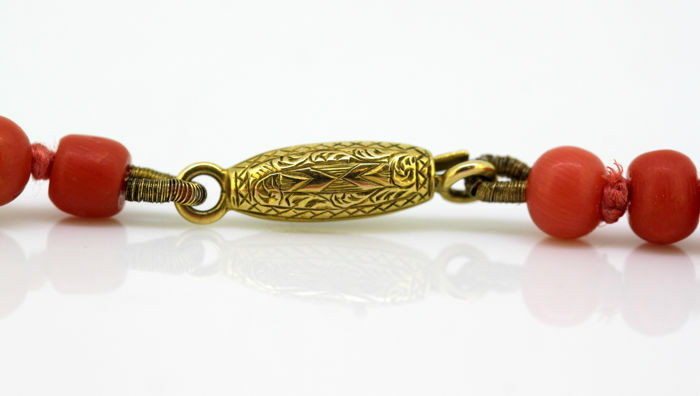 PLEASE NOTE: Shipping to Europe Only. 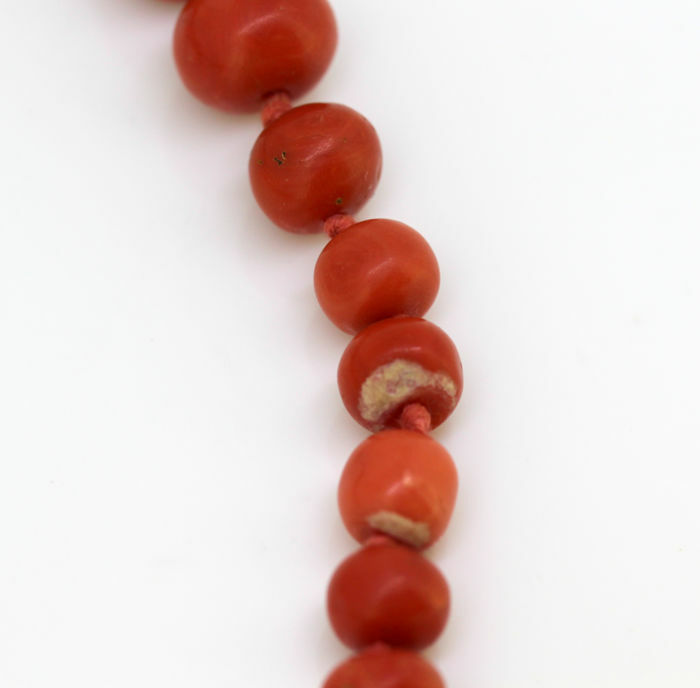 Condition: Pre-owned, has some wear and tear along with some signs of age, no damage, good overall condition, please see pictures for a better judgment of the items condition.